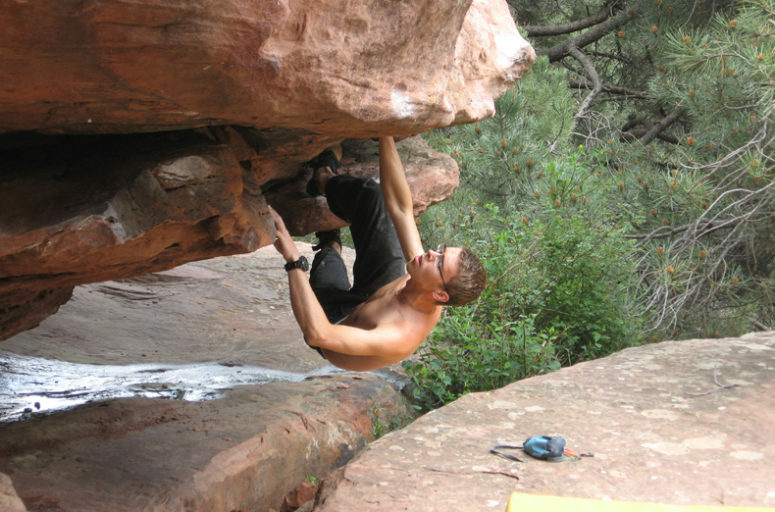 During my three years at university in Portsmouth, I had the opportunity visit Portland a number of times and experience the bouldering first-hand. Portland lies just South of Weymouth which can be accessed from the A35. The A354 is the main road that will take you onto the island. Portland is unique in that it is connected to the mainland through the narrow strip of Chesil Beach. The island has a unique history dating back many centuries, and was most recently a naval base for the Royal Navy. Part of the Jurassic Coast, a World Heritage Site combing parts of Dorset and Devon, Portland is home to many unique English flora and fauna, some of which can only be found here. Weymouth and Portland will also be hosting the sailing events for the 2012 Olympic Games. Sport routes have been put up along Portland’s limestone cliffs and make, and due to the region’s mild climate it has become a top winter destination. Pick a perfect day and the atmosphere can be very serene. Warm winds, gentle waves and a bright sun will leave the landscape basking in a warm glow and the rock structures radiating an ivory white colour. Due to the East-West position of many climbing sectors, sun can almost always be found. Rain can be a hassle; however since the limestone is exposed to the coastal wind it dries fairly quickly and leaves little seepage. Once home to many a stone quarry the shore line is also riddled with boulders and stone chunks. Two venues provide a good assortment of boulders to work on. The Cuttings Boulder Field on the East of the island has a wide variety of problems and situated just under the Cuttings climbing crag, and can be accessed from the Mermaid Pub. 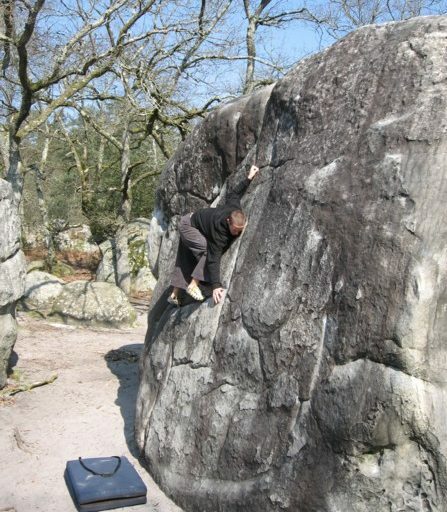 These are what I would call traditional problems with free standing boulders, including top-outs. 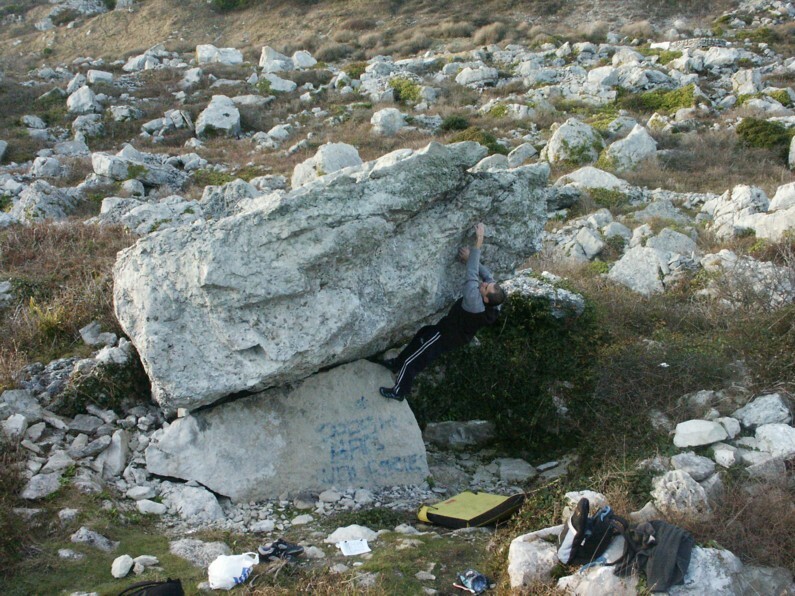 There are some excellent routes here, all in the medium range difficulty (V3-V6). Star of the field is the Hermit’s Hole which can be seen from afar. It contains the Lighting Strike boulder, clocking in at V7. Also check out the Nice Tree Boulder with the classic Liquid Sunshine (V7). The Cutting’s offers good quality rock with ample friction. However, there is a lack of homogeneity to the different boulders, as each tends to have its own unique shape and style. For strong climbers there may well be too few hard problems. However the atmosphere is very nice. Strong winds, and a rough coast give create a sense of energy and vitality, and generally the weather is very forgiving. Make sure to bring crash pads, as landings can be very dodgy, with loose rock everywhere. Also long pants are recommended due to the sharp brambles that line the paths. The second venue, the Neddyfields is further south, and can be accessed through the Cheyne Wears parking area. These problems are short vertical routes along the coastal pathway. Generally, you’ll hit the top grip after a few hard moves, and will have to jump back down again. The walls feature some nice flowstone structures as well as small crimps. The cliff is very exposed so the wind can really bear down on your during the winter. Also, the problems can be prone to seepage after rainfall. This sector is much less athletic than the Cuttings, relying on balance and static power, and makes for a good change of pace. Together both sectors offer great variety of problems in the medium difficulty range. The draw here really is the weather, especially during winter. 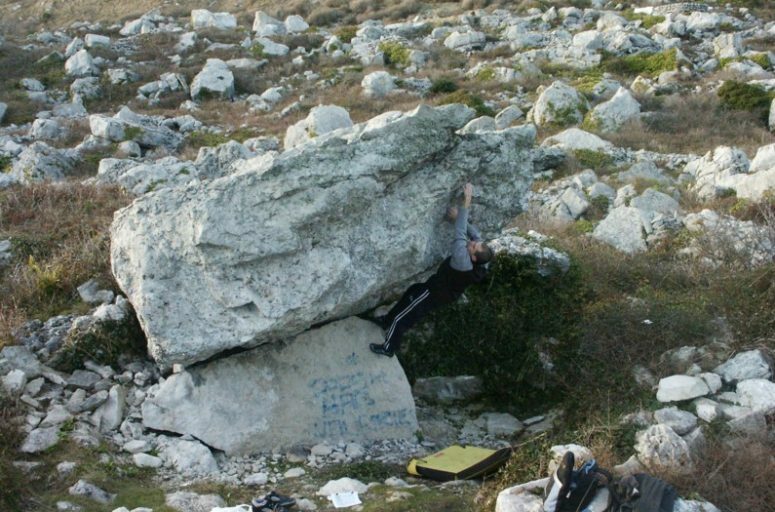 The sea-side location combined with the beautiful coastal landscape makes bouldering a great deal of fun. I can highly recommend the Dorset climbing guide from RockFax which also contains a section on bouldering in the Cuttings (Glaister & Oxley, “Dorset”). 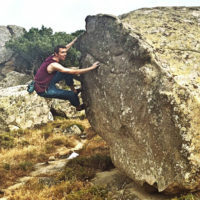 Alternatively, download the online bouldering MiniGuide by Ben Stokes, which has more detailed information and includes an extra section on the Neddyfields.